Samsung's Gear S2 smartwatch has taken the consumer market by storm, showing dramatic adoption increase over its older, curved display sibling (Gear S). 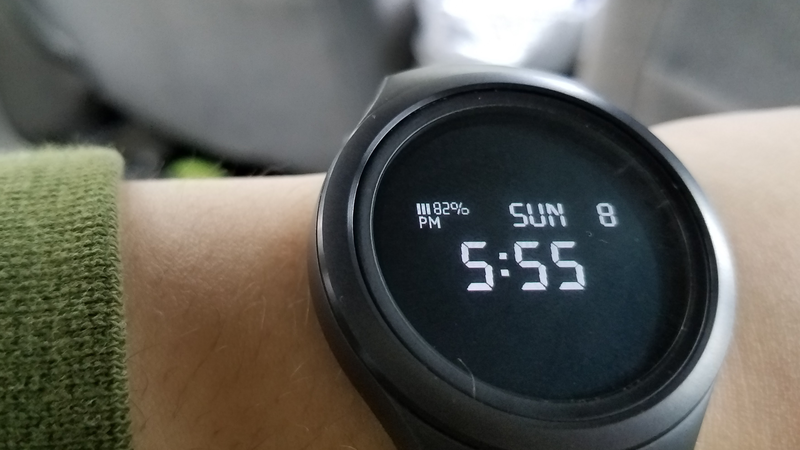 The device sold 180,000 in China in just 8 hours (imagine what sales would be after 30 days), and Samsung has committed to making the device better with updates that bring additional features such as flight mode and photo gallery watch face, as well as a World Clock, ESPN watchface, and updates to S Health so that you can see the last time you exercised (think of it as a mental jog to get up and keep going). Samsung has even provided a luxury Gear S2 for those who want something truly premium for something extra. Part of Samsung's success behind the Gear S2 is that it has made the smartwatch compatible with Android smartphones (though the Korean giant would rather push Tizen), and is now considering iPhone compatibility that may arrive with a new smartwatch this year. We now have some information to present to you about Samsung's next-generation Gear smartwatch, what we can call the Gear S3 for now. According to my colleagues over at SamMobile, the Gear S3 lives and is headed to market this Fall. The smartwatch is named internally at Samsung "Solis," a Latin term that means "sun or circle," which is similar to the same codename Samsung used for the Gear S2. The Gear S2 codename was "Orbit," which also refers to "circular" rotation and hence, is a dead giveaway as to the shape of the upcoming device. At this time, there are no other details about the Gear S3 Solis smartwatch, but we do know that the watch will run Tizen, a second year in which Samsung has said "no" to the idea of bringing Android Wear to its main attraction wrist wearable. Samsung has tried to backtrack on its statement that it would not rendezvous with Android Wear any longer, but its continued commitment to Tizen on the Gear smartwatch lineup suggests that Android Wear is a journey once traveled, forever finished. We don't know the screen size, resolution, new watchfaces, and so on, that will grace the Gear S3, but what we do know is that Samsung will make the journey to September's Berlin, Germany IFA 2016 conference suspenseful and well worth the wait. Get ready smartwatch lovers: the next big thing is almost here.